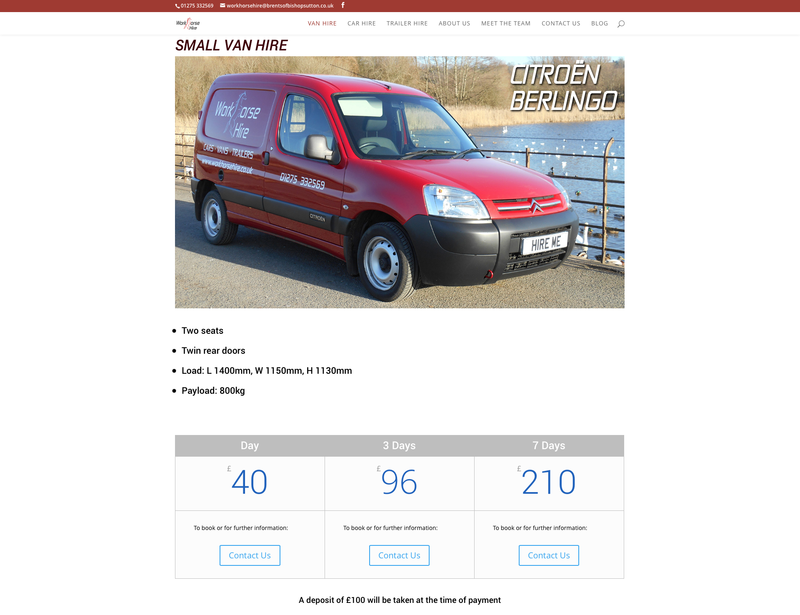 WorkHorse Hire had an existing website that was looking dated, and didn’t give the company the opportunity to really demonstrate the vehicles they had on offer. They asked me to redesign the site to better enable them to attract customers. 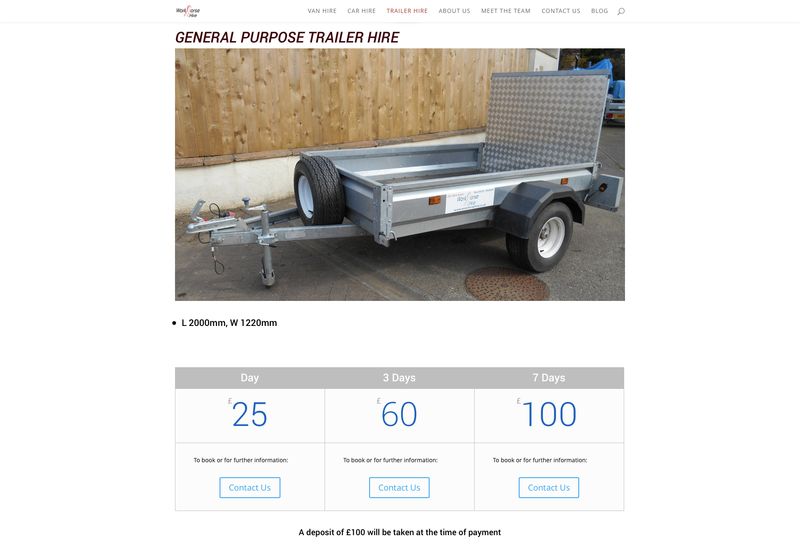 I designed a bright, attractive site for WorkHorse Hire, that really encourages the user to scroll down the page to see everything that WorkHorse offer. Throughout all the pages, there are several incentives for people to contact WorkHorse for further information.